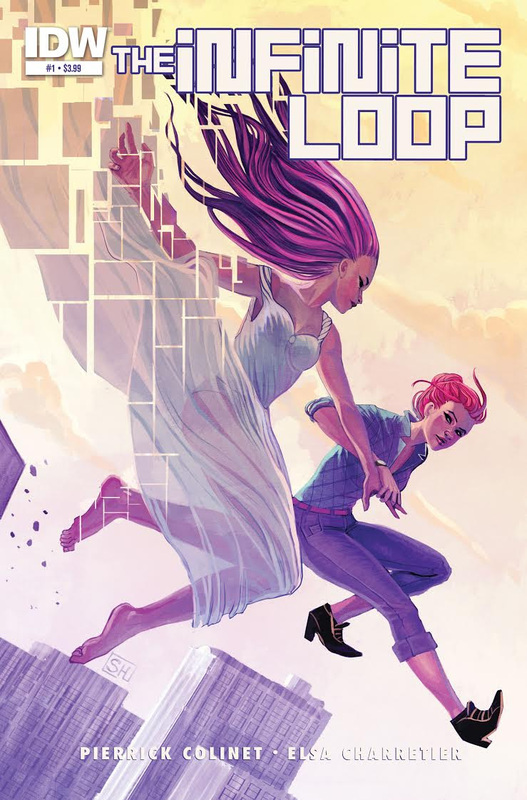 In anticipation of Paris Comics Expo this weekend, IDW Publishing is pleased to announce they will be bringing to print The Infinite Loop, the wildly successful Kickstarter-run project, as a 6-issue miniseries starting in April 2015. The Infinite Loop is a science-fiction series that asks the age-old question, “What would you risk for a chance at true love?” Meet Teddy, a young woman who lives in a faraway future where time traveling is a common practice and her job is to maintain the status quo by correcting time paradoxes. But when she meets Ano, “a time paradox” and the girl of her dreams, Teddy must decide between fixing the time stream or the love of her life, both of which have unique consequences. 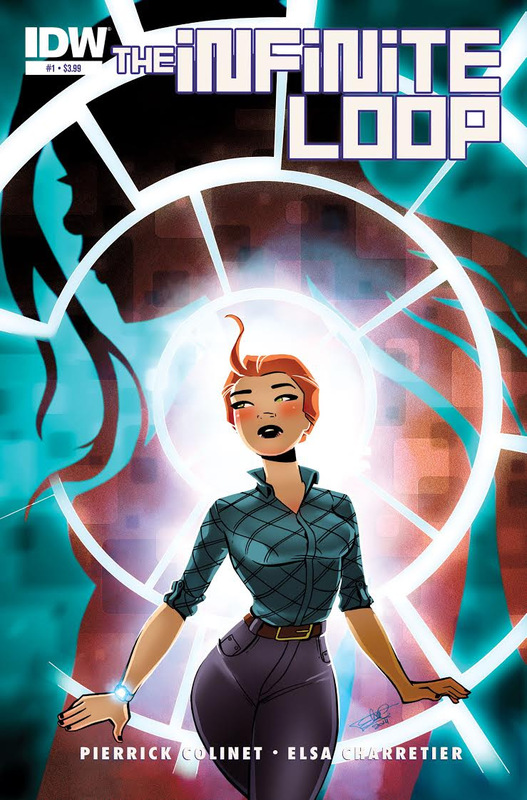 The Infinite Loop began earlier this year as a wildly successful crowdfunded project created by the team of writer Pierrick Colinet and artist Elsa Charretier and described by Comic Book Resources’ Robot 6 as “channeling early-period Steve Rudewith the page composition of George Pérez…” For the comic-book series, Elsa will be providing all-new covers. Issue 1 also features a variant cover by Stéphanie Hans. “When Elsa showed off a sample copy of issue 1 at this October’s NYCC, everyone at IDW who saw it was desperate to bring it here. The talent and creativity abound on every page. This book is a very welcome title to our roster,” said Chris Ryall, IDW’s Chief Creative Officer/Editor-in-Chief.